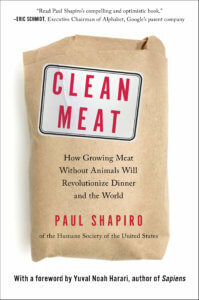 For the next installment of our Expert Opinion section we are delighted to present a guest post from Paul Shapiro, author of the Washington Post bestselling book Clean Meat: How Growing Meat Without Animals Will Revolutionize Dinner and the World, experienced TEDx speaker, co-host of the Business for Good Podcast, and well-known advocate for animal rights and food sustainability. Paul is a member of the Animal Rights Hall of Fame and founded Compassion over Killing in 1995. 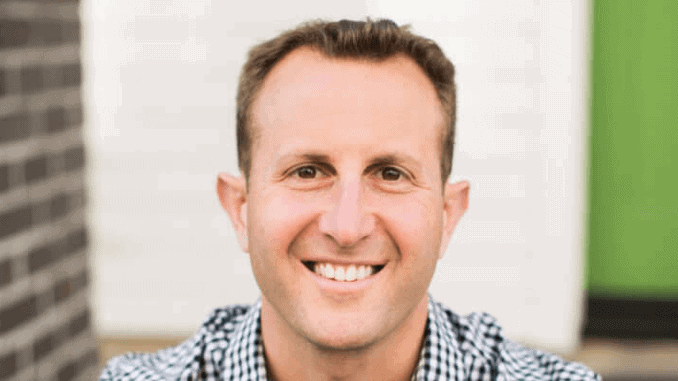 In his role as expert and author on the issue of clean meat, we invited Paul to share some of his knowledge, and here we have his special post for vegconomist on this interesting subject. A recent FDA listening session examining the nascent field of start-ups growing real meat from animal cells—rather than raising entire animals—highlighted a federal food fight with outcomes that could affect just how millions of us eat. Three years ago, there wasn’t a single company growing “clean meat,” so-named both as a nod to clean energy and because of its food safety benefits. (In fact, the first reference to this name for this food was in a 2008 Times letter.) Today, there are more than a dozen such startups and they’re attracting capital not only from Silicon Valley but from the heartland as well. For example, clean meat start-up Memphis Meats—whose clean duck meat I’ve sampled and enjoyed—has earned investment from meat giants Tyson and Cargill. To be clear, these companies aren’t making alternatives to meat. Many innovative companies, like Beyond Meat and Impossible Foods, are already on the market and producing plant-based meats that look and taste like animal meat but originate in the plant kingdom. The clean meat companies, in contrast, are making real meat simply by growing actual animal cells into the same muscle they’d become if they were still inside the animal’s body. If a clean meat industry is allowed to flourish, it’s possible that concentrated animal feeding operations (CAFOs) that are responsible for so many environmental problems could be outcompeted in similar ways to how the rise of digital photography left Kodak a relic of a quaint past. That’s because it takes many fewer resources to grow animal muscle than to produce the entire beast. One 2011 study by Oxford University’s Hanna Tuomisto concluded that growing beef without the cow could use 99 percent less land and 96 percent less water while emitting 96 percent fewer greenhouse gas emissions than the beef we eat today. Admittedly, life cycle analyses are likely to be revised as we get closer to actual commercialization of clean meat, but it’s clear that in the same way clean energy competes against fossil fuels, clean meat may soon compete with factory farms. But regardless of which agency ultimately oversees clean meat producers, that agency should seek to welcome rather than stifle innovation and competition in the protein space. As our population continues to grow and consume more meat, meeting that demand with clean meat — and of course plant-based meat as well — is a path toward helping sustainably feed ourselves into the future.